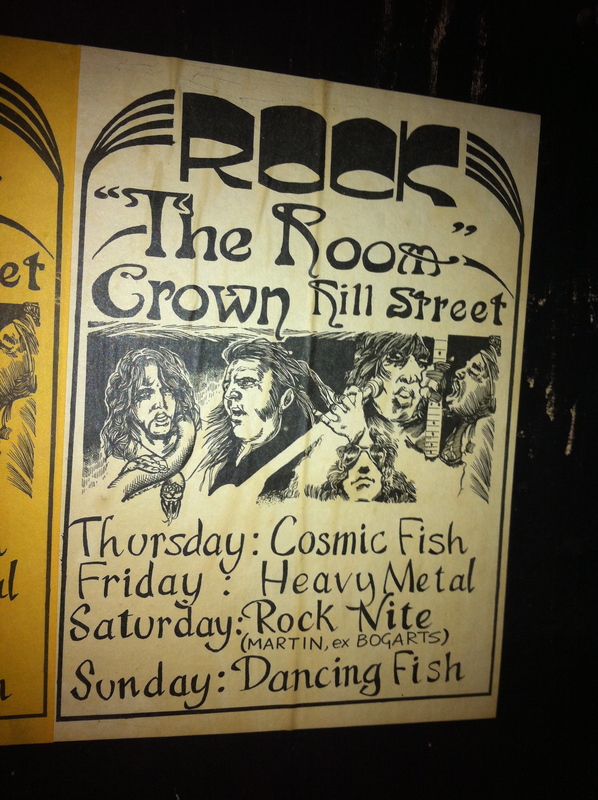 The Crown is arguably the most important venue in Birmingham’s music history. 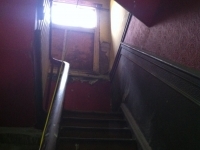 It was here, in the upstairs room, that Henry’s Blues House was started by Jim Simpson and would play host to the early gigs of Earth, before they renamed themselves Black Sabbath. But the The Crown was also a focal point for Brummie punks as it spread out of London. 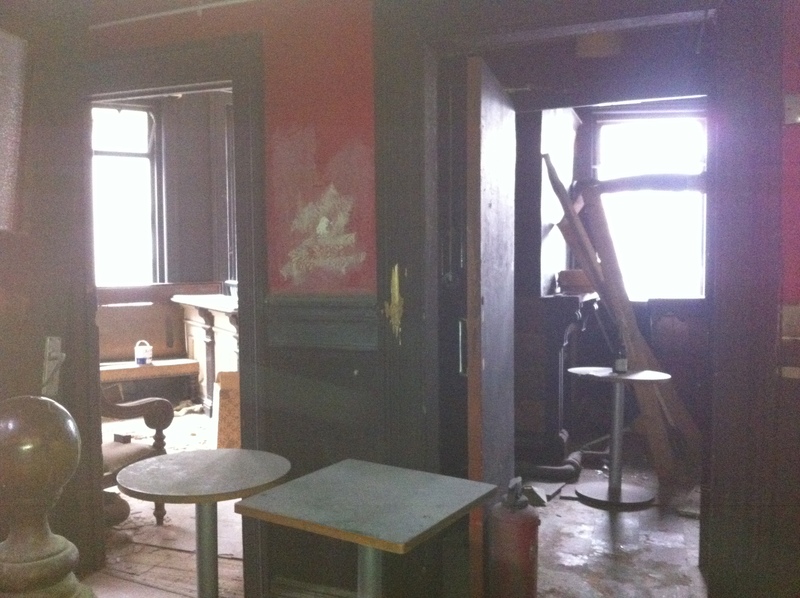 The Crown, or more specifically, the room above the bar which played host to all the amazing gigs and nights, is under threat with the brewery wanting to convert the space in to apartments. This would be a terrible fete to befall a genuine Birmingham cultural heritage space. It doesn’t take much imagination to think of the possibilities of what we could do with this room, a dedicated site for Birmingham Popular Music attracting tourists to the spiritual home of the legendary Sabbath, where you can still read the graffiti of the punks, Drongos For Europe, scrawled on walls, Sheldon Punks on the stairs. My dad (also called Tom Pickering) was Landlord of the crown from the late 1950’s through to about 1970. It was a tied house at the time (M&B) but revenue from the two dance halls went to the landlord if he arranged events there. I was born in a local hospital in 1964 and my sister actually born there in 65. There are actually two performance spaces upstairs – a main dancehall with a side “snug” bar and a smaller room (called the Boatman’s Bar – and decorated with utterly incongruous sea related paraphernalia) with higher ceilings (and much better acoustics) both were used interchangeably in the 1960’s – though the second room seems to be the host for most of the Henry’s Blues House meetings. The list you have online starts in 1970 – but music was a huge thing much earlier than that. I remember it was called “underground” music and started around 1967 – 68. My gran used to do the catering for the pub and fondly remembered the bands who used to play there. I remember at the height of the newspapers monstering of Ozzy Osbourne her telling me how he was a good kid and always super polite to her on the catering station – although always hungry and trying to scrounge a sandwich. 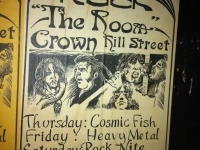 The Crown was one of only a few venues in the city centre with a license for music and dancing so it attracted the early folk scene too. My mom has stories about the Chieftains having a residency there in 1964 / 65, and there were regular appearances from local bands like “Denny Laine and the Diplomats” and the Moody Blues. There was a pie stall on old bombed out building near the front door which was hugely popular with local biker community. They labelled themselves “Ton Up Kid” and their big aim was to do 100 mph on their old Norton and BSA motorbikes. these kids formed the nucleus of the early heavy metal fan base. One of the things that people forget is that there were an utterly notorious set of “cottages” outside the crown (underground public toilets now filled in on the corner of Hill st and Station St) which made it a haven for the early LGBT / Trans community. Who used to mix utterly happily with the Bikers, Rockers and Folkies. It was a very special, if somewhat unpredictable place. The period 1970 – 75 was when most the Henry’s gigs happened – we had been moved out of the Crown by the brewers. Between 74 and 77 the old place fell into a terrible rut. There was always an undercurrent of violence about the pub, with such a disparate community there frictions and jealousies would be bound to spill over, but my father used to keep a very effective door squad in place and it never really became toxic. 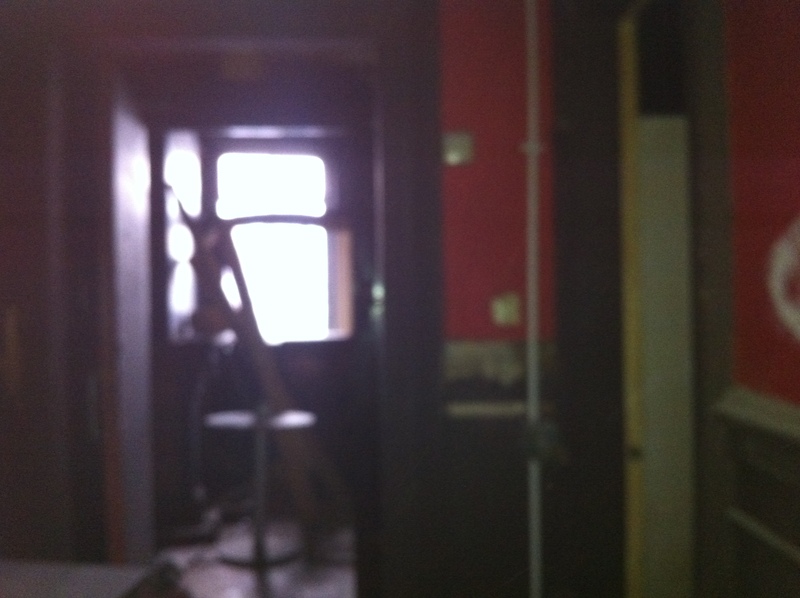 When he left the violence became untenable, and the pub was let out as a tenancy in late 1976 / early 1977. My dad took up rental and returned to what had, by now, become an absolute shambles of a place. He bought back his old door squad and the violence all moved back away. This is when Billy Dupre asked my dad for his old bar job back. Billy was a lovely gentle sort of a guy – a real 1960’s hippy and kids all loved him (me included) He asked if he could run the (now closed as a fire hazard) back lounge bar as a venue for his “punk” friends – and change the music on the jukebox to allow him to do this. So he set up and before long the Crown was swarming with Punks. We re-opened the old upstairs dance hall and used it as a venue for a “punk disco” with Billy and his friends playing records. The ATV show Revolver filmed a bunch of the filler “crowd” footage up there. The Punks made enormous peacock there for 2 years or so until the 1979 Thatcher Govt brought the full weight of the transition to a service economy down to bear – Birmingham was one of the worst places affected and the scene moved first to a mix of Punks / Skinheads (drawn by a shared love of Reggae) and then to a preponderance of skinheads with a few punks. 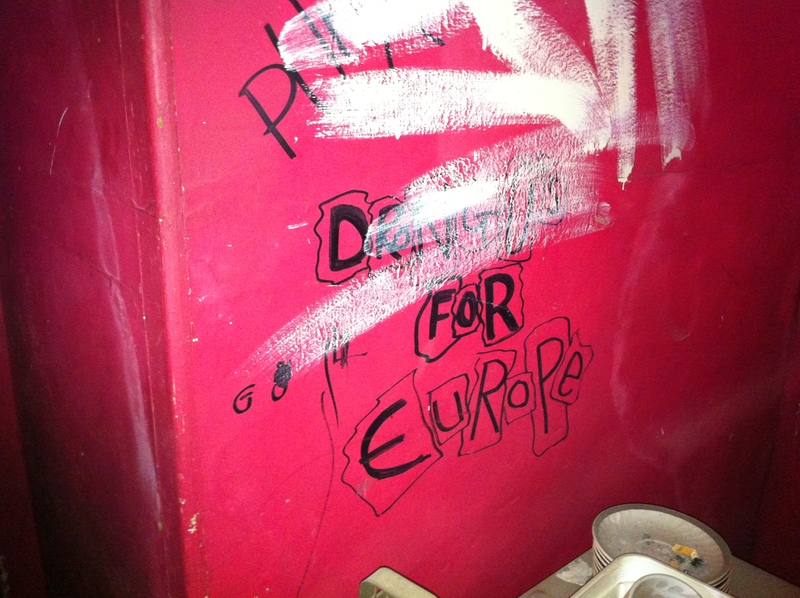 The two punk bands who got their break there were GBH (famous – still touring) and Drongo’s For Europe (not famous – still touring). 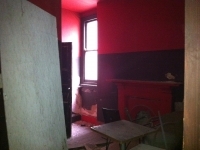 GBH had a long term residency there – contact them they have some great stories of the place. The skinheads drew in the far right and (by this stage of the recession) despirate for money my dad started renting out the lounge and upstairs as a venue for some pretty unsavoury groups. Column 88, Combat 18, British Movement, Ukranian Ex-Servicemens Association (these were some bad bad men) all regularly used the place. The local bands going through there at the time included UB40 and The Beat – who name check the Crown on the final line of their single Tears of a Clown where Ranking Roger declares that he’s “going down town, going down the crown”. 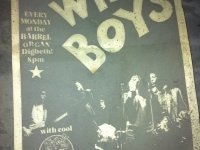 For a while Pig-Bag used the downstairs as an informal “club house” – Art School kids and Skinheads – it was a weird mix. Curiously there was never any real friction between the mixed race SKA / Skin / Two Tone kids and the Far Right. A more cynical man than I might speculate that that they used to unite in hating the Asians. It was this background that gave rise to the unique multi-racial mix of the Zulu football supporters. 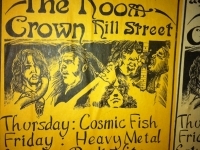 There was an attempt in 1980 – 81 to bring back Heavy Metal to the place – we hired the DJ from the Beerkeller (Bogarts) and this was quite popular for a while – but no real live music. 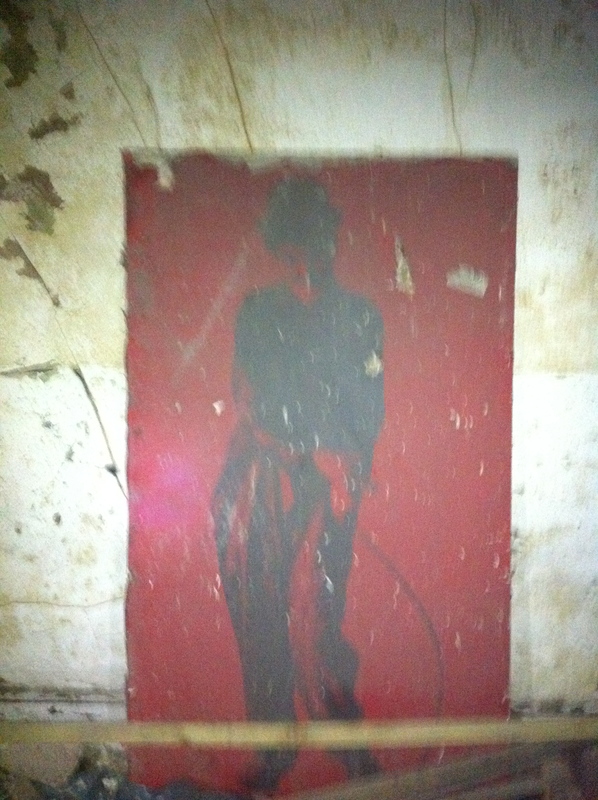 The posters you see up on the walls in the photos are all from that period. The graphiti (Bill Has Joy… etc) all dates from 1979 and is very much the hall mark of the punks. By 1982 music had all but stopped at the place. It became home to the Zulu’s and all the Punks moved on. We moved out in the autumn of that year. Hope this gives some flavour. We want to save this space, or at least enter into discussions with the developers to re-think their plans and release the asset, which is of cultural importance to the city, which they are custodians of. Would love to crowd this page with photos, ticket stubs, memories, gigs listings, anything to do with your time at The Crown and your thoughts about what we can do to save this amazing place! 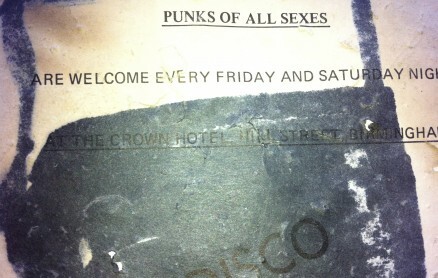 To kick things off, here is flyer for the regular punk ‘discos’ that took place at The Crown, I’d love to hear from anyone who went there or has photos, who the dj was, and who the phone number belonged to! 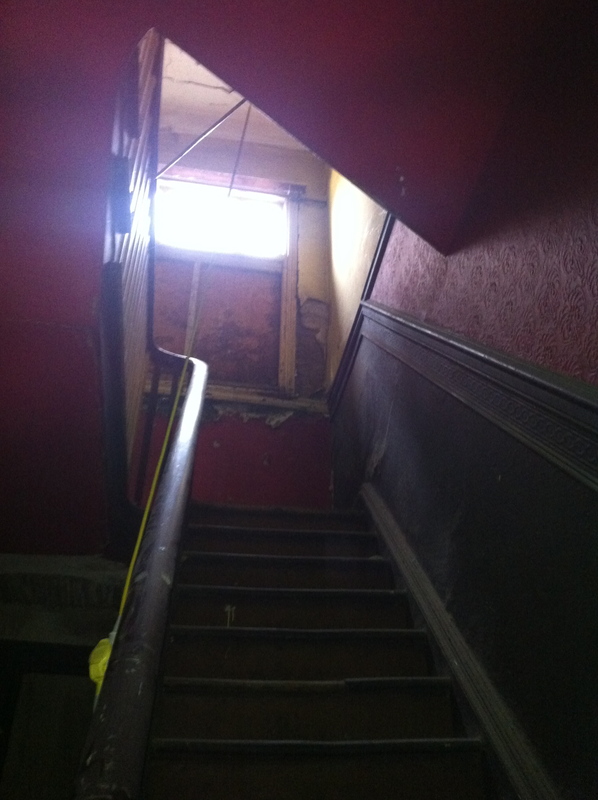 And this is what the upstairs looks like today, Sabbath, Led Zeppelin, Judas Priest, Champion Boy Dupree,Thin Lizzy, not to mention the punks of Brum and countless others have all been present in these rooms, even the posters remain. Worked The Crown with Ultra Sound in 1968 or 1969. Bands played upstairs, and customers were met at the door by a liveried doorman, with gold braided uniform, reminiscent of the top London Hotels. I grew up in this pub. Remember the Drongo’s well – and Charged GBH. There were a lot of bands who used to play there. 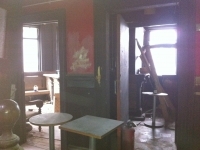 Long moved away – live in Canada now – it’s really sad to see the old place like this. I remember the writing on the wall, I can even remember the faces for some of the people who wrote it. I currently run The Crown and have spoken to Jess about this website. Would be delighted to talk to you about the venue. 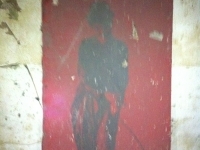 I do hope you’re able to gain access before they renovate Andrew! 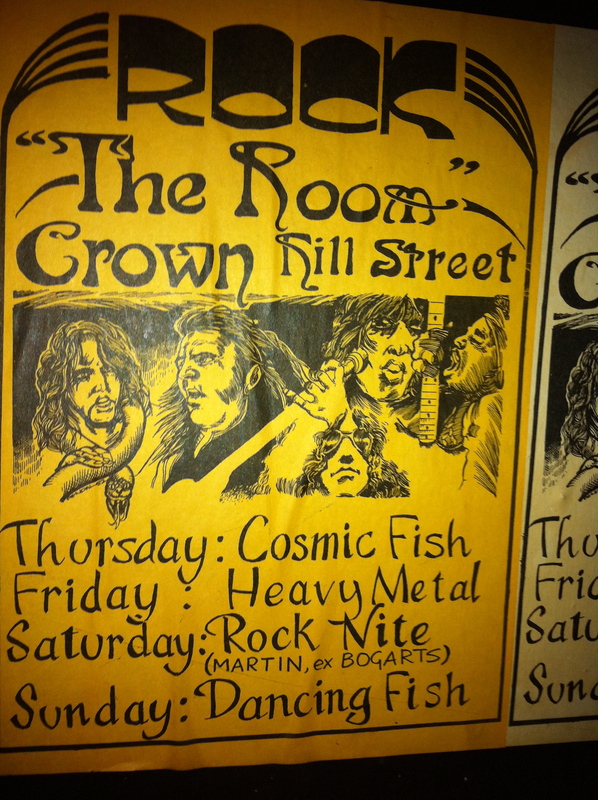 I saw Black Sabbath at the Crown/ Henry’s a couple of times when they were still called Earth. 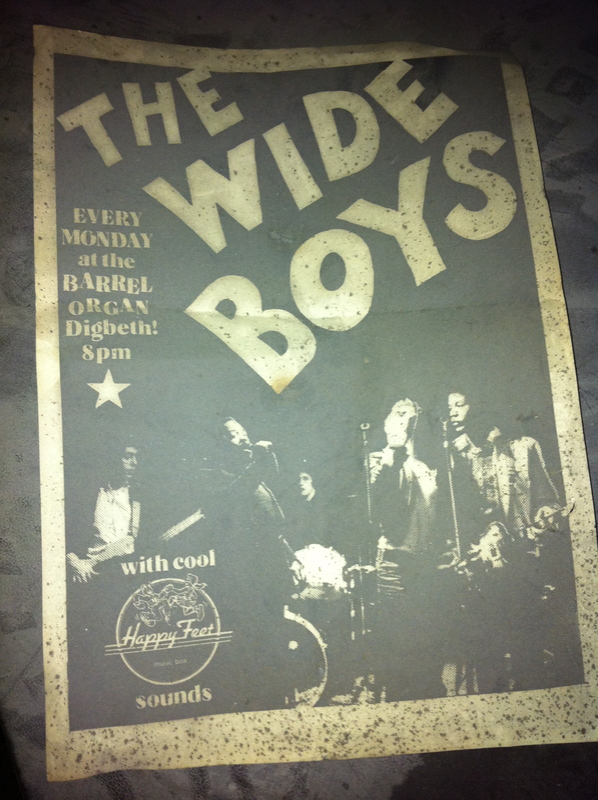 Great blog I was going there in 1978 Friday nights one of the DJs was Ranking Roger later to be a member of the Beat. He was was brilliant played Reggae and punk Iggy Pop,the normal as well ATV what a band Action Time Vision full blast through the PA whole dance floor pogoing serious punk’s and skinheads drank there but they never gave you any hassles as long as you didn’t give them a reason there were punch ups as was the norm in Birmingham 1978. Heading up the long stairs was exciting the was electricity in the air. Friday was a great night people even came up from London .I gave directions to a punk up from London she was looking for the Crown she asked me I reckon because of my short hair she new I would know it and I told her how to get there. People sniffing poppers on the stairs cans of Breakers at the bar the smell of No6 and Embassy fags filling the room is was charged atmosphere it was pure punk trust me. I met John Peel at New Street station in 78 what a great bloke I said play a request for the punk’s and skins at the Crown in your show he wrote it down and said he would ,we said are farewells and parted. You either get punk and skins or you don’t you had to be brave people wanted to start on you,Just for looking different,punk’s and skins knew what it meant. Henrys was a great innovation. Saw several blues acts there. Duster Bennett on his own, with John Mostyn on bass and Keith Randal on guitar on some numbers being a particular memory and on one occassion a VERY loud support -Black Sabbath on what must have been one of their fist gigs.